A duplex coating is defined as a combination of two different coating systems which often complement one another, Typically this means a metallic coating overcoated by an organic system. Examples of such systems are hot dip galvanizing surfaces which have been painted or powder coated. Typically, a galvanized coating on its own will provide adequate corrosion protection. However, an organic may be applied over the galvanized finish for a number of reasons such as to add colour for improved aesthetics, to try to blend the structure into its surroundings, to try and make the structure stand out from its surroundings or to provide additional corrosion protection in a very severe environment. A duplex system offers a number of advantages over utilising just one of the chosen coatings. 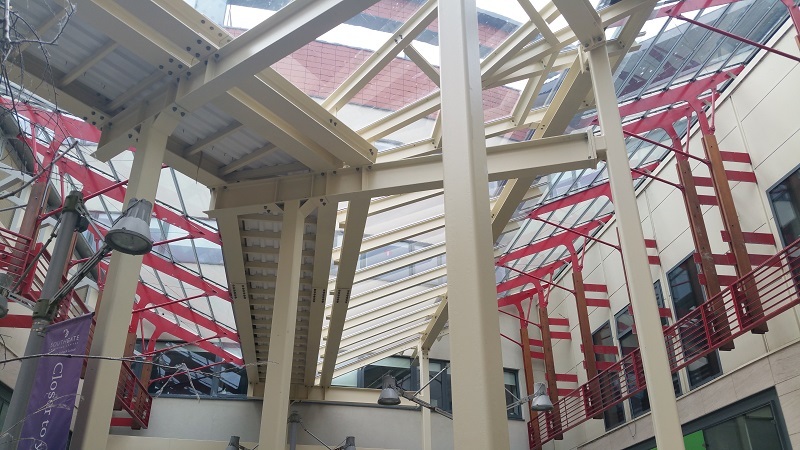 Firstly, if a structure is required to be a specific colour, painting or powder coating is required. However, by applying the product over a galvanized coating, a high level of underlying corrosion protection is provided such that if the organic system becomes damaged there is no urgency to conduct immediate remedial work as the galvanized coating will prevent the formation of red rust which would otherwise undercut the organic system if applied directly on to a steel substrate. The other key benefit of a duplex system is the synergistic effect that is achieved whereby the galvanized coating causes the organic system to perform better that it would do if applied directly on to a steel surface. If paint is applied on to a steel surface, over a period of time moisture permeates through microcracks in the coating leading to red rust which crates stresses within the organic layer leading to coating failure. Conversely when applied on to a galvanized coating, moisture may penetrate through to the galvanized substrate leading to the formation of zinc corrosion products. These have a much smaller volume than the red rust that would be otherwise formed and consequently create much lower stresses within the organic coating. The corrosion products so formed may even backfill any porosity within the paint system so preventing further moisture penetration. As a result of this process the life of a duplex system is more than the sum of its two component parts as illustrated by the equation below. The value of `K` may vary but typically lies in the range 1.2-2.5 dependent upon the make-up of the duplex system applied. Standards are available to allow specification of the different components of a duplex system as summarised below. Hot dip galvanizing will normally be specified by EN ISO 1461:2009 `Hot Dip Galvanized Coatings on Fabricated Iron and Steel Articles – Specifications and Test Methods`. This standard contains coating thickness and surface smoothness requirements although where aesthetics are of particular importance, consideration may be given to conducting a trial dip so as to produce reference samples from which a supply standard can be agreed. Information on suitable paint specifications and their application may be found within EN ISO 12944 Parts 4 & 5 `Paints and Varnishes – Corrosion Protection of Steel Structures by Protective Paint Systems`. Part 4 covers types of surface and surface preparation while part 5 gives guidance on protective systems. 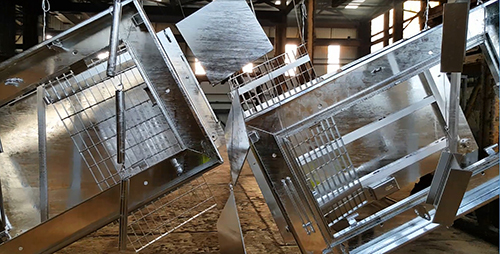 Powder coating over hot dip galvanizing may be specified by EN 13438 `Paints and Varnishes – Powder Organic Coatings for Galvanized or Sherardized Steel Products for Corrosion Purposes`. In addition, EN 15773 `Industrial Application of Powder Organic Coatings to Hot Dip Galvanized or Sherardized Steel Articles (Duplex System) – Specifications, Recommendations and Guidelines` which sets out guidelines for communication and agreements that should take place in order to achieve the best possible finish may also be referenced. Chemical Pre-treatment – This typically involves application of T-wash (sometimes known as mordant wash or mordant solution) or a suitable etch primer to the galvanized surface prior to overcoating. Typically, T-wash tends to be used on newly galvanized steelwork while etch primers are used on weathered surfaces. It is important that adequate time is permitted for the pre-treatment solution to fully dry out and react prior to overcoating and where a power coating is to be applied this might be achieved by heating to at least 40°C above the final curing temperature for about 10 minutes. It should be noted though that the galvanized product should not be subject to a temperature of 200°C or above for more that few minutes as this may lead to peeling of the outer layer of pure zinc. Mechanical Pre-treatment – This involves lightly sweep blasting the galvanized surface at low pressure (0.3 MPa or 40 psi maximum) with a soft blast media such as fine copper slag, J blast or carborundum powder. When conducted, it is important to control both the blast distance and blast angle as the aim is to produce a slight profile on the galvanized surface to act as a key for subsequent organic application. Excessive blasting may lead to coating damage and should be avoided. In addition to the above pre-treatments there are now a number of direct application paint which may be applied without the need for preparation after thorough washing down and degreasing. 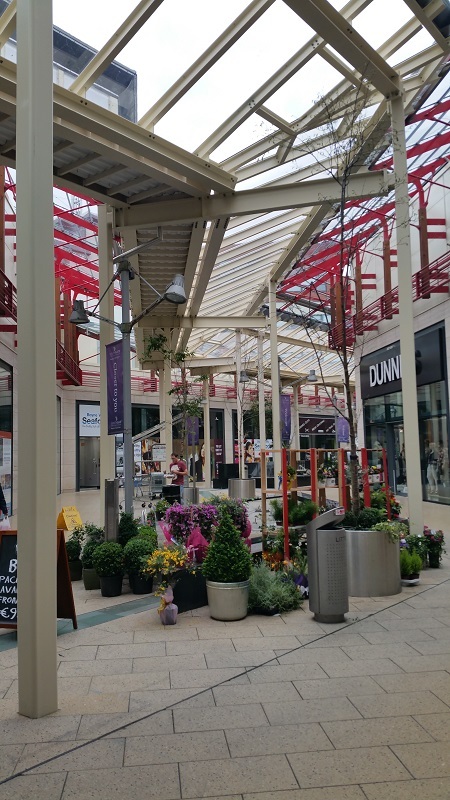 A number of different organic systems are available for application over a galvanized finish offering a full range of RAL colours.